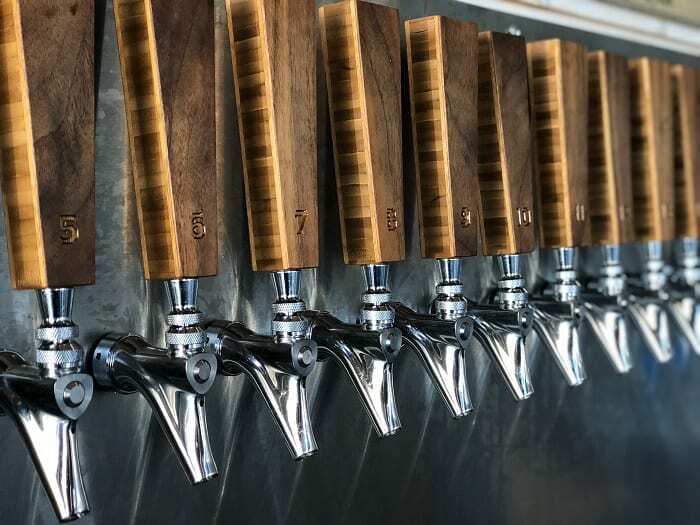 Overflow Taps has two locations, one in Barkley Village and one in Lynden. Photo credit: Jesse Nelson. Since its beginning, Overflow Taps has given back to those less fortunate. The taphouse has two locations, one in Bellingham and one in Lynden, but each location emphasizes the importance of practicing selflessness. No matter which Overflow Taps you go to, 25 cents from every pint poured is donated to Charity Water, an organization set on ending the global water crisis. 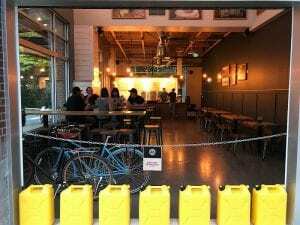 Owner Jesse Nelson wants to make their work with Charity Water more apparent at the Barkley Village location, where he wants people to notice and feel the charitable elements of the taphouse as soon as they walk in. 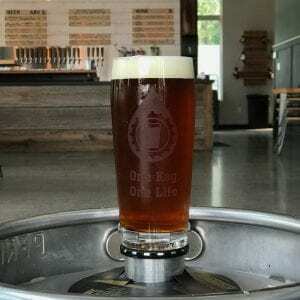 Overflow Taps pours local beer made by local craft brewers from Whatcom County. Photo credit: Jesse Nelson. Overflow Taps isn’t only a place where people can go to converse and have a beer, but a place where people can congregate to learn more about an important cause, and help that cause in the process. Donations to Charity Water aren’t the only ways Overflow Taps gives back to the community. Throughout the year, the Barkley Village location hosts events aimed at impacting different areas of the Whatcom County community. A couple big events they threw this year were Soktoberfest and the Hannah Dashiell Memorial Scholarship Fundraiser Night. Both are set to become annual events. Soktoberfest it is an Oktoberfest-themed event, where a donation of socks grants you admission and each pair is donated to those experiencing homelessness. This year, Overflow Taps donated 940 pairs of socks to the homeless population in Whatcom County through Soktoberfest. 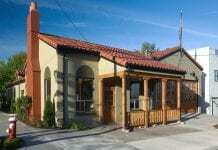 Overflow Taps Barkley Village location donates 25 cents from every pint to Charity Water. Photo credit: Jesse Nelson. The Hannah Dashiell Memorial Scholarship Fundraiser started this year when Nelson got a call from one of Dashiell’s friends who attends the University of Washington. She suggested the event to Overflow Taps because of Dashiell’s importance and place within the Barkley community. In 2014, Dashiell tragically passed away in an automobile accident at Barkley Boulevard and Brandywine Way. Dashiell was a critical part of the Squalicum High School community and an employee of the Barkley Village Haggen. She had strong ties to the area and made a positive impact on all of those around her. These qualities made it a no-brainer for Nelson that Overflow Taps help her scholarship fund in any way they could. The night of the fundraiser, instead of donating pint proceeds to Charity Water, Overflow Taps donated all pint proceeds to the Hannah Dashiell Memorial Scholarship. Each year, the scholarship grants funds to one recipient, an exceptional young woman planning on entering the medical field. In addition to pint proceeds, Overflow Taps hosted raffles and other events throughout the night to generate money for the scholarship fund. 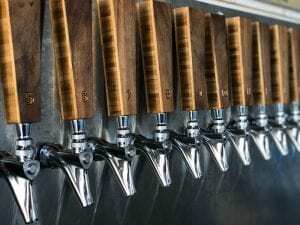 Charitable events aren’t the only thing that makes Overflow Taps’ business model unique. Nelson and Co-owner Adam Stacey have also gotten into the world of podcasting. In recent years, Podcasting has become exceedingly popular. Nelson and Stacey look to capitalize on this trend by way of their educational and beer-centric podcast “The Overflow Taps Craft Beer Experience.” The podcast is fun, entertaining and you’re certain to learn a thing or two about beer that you didn’t know before. The most recent episode featured filmmaker Evan Pollock, the mastermind behind “Brewingham: Crafting a Community” a feature film slated for an April 2019 release. The film is centered on the strong craft beer culture Bellingham harbors, and it dives into how brewery owners and brewers work together to create an industry inviting and open to anyone. “The Overflow Taps Craft Beer Experience” podcast can be found across all major streaming platforms, such as Spotify, Apple Music and Google Play. Nelson says the podcast helps them connect with beer lovers and drinkers around the world. Nelson and Stacey frequently feature a segment called “Meet the Brewers” where they sit down with local Bellingham brewers (whose beer they most definitely pour on tap) to talk about the craft of brewing and what drives them every day. Overflow Taps is helping foster change, one pint at a time. Check out their Barkley Village location at 2930 Newmarket Street, Suite 117, in Bellingham.